Oklahoma State University Extension livestock marketing specialist Derrell Peel said a wide variety of internal and external factors are impacting beef and cattle price levels and volatility. Year-over-year cattle slaughter is up while cattle carcass weights are lower compared to last year, moderating beef production increases somewhat, Peel added. The latest retail beef prices indicated that beef prices are declining quite slowly. The all fresh beef price for May was slightly higher than April. “Overall indications are that beef demand is holding strong in the face of growing beef supplies. Beef movement this spring has been good; indicated in part by the drawdown of large beef cold storage supplies to levels six percent below year earlier levels in the latest report,” Peel noted. The U.S. Department of Agriculture’s (USDA) National Agricultural Statistics Service (NASS) released last week the June “Cattle on Feed” report. Cattle and calves on feed in feedlots with capacity of 1,000 or more head totaled 10.8 million head on June 1, 2016, a 2% increase from June 2015. Placements in feedlots during May totaled 1.88 million head, 10% above 2015. Net placements were 1.81 million head. 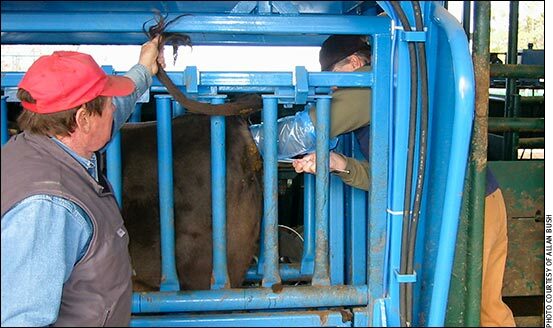 During May, placements of cattle and calves weighing less than 600 pounds were 305,000 head, 600-699 pounds were 250,000 head, 700-799 pounds were 479,000 head, and 800 pounds and greater were 850,000 head. Marketings of fed cattle during May totaled 1.79 million head, a 5% increase above 2015. Other disappearance totaled 74,000 head during May, 4% below 2015. Peel said the numbers were very close to expectations and wouldn’t likely provoke much market reaction. The increased placements were all in the heavy weight categories and will be marketed out of feedlots in the fourth quarter of the year, Peel added.